What Kind of Grill Is Right for You? What Kind of Grill Should You Buy? You will find that barbecue aficionados feel that the type of grill they have is the best, whether charcoal, gas, electric, or pellet. But the best grill for you is the one that fits your needs, your lifestyle, and your budget. When deciding which kind of grill to buy, you first need to honestly consider what you want to get out of a grill: Do you want to be able to put together a grilled meal quickly, with very little time and effort? Or does flavor matter most? What kind of space do you have? Are there any local ordinances that might limit what you can get? Once you have the answers to these questions you may still be unsure which grill is ideal. With a breakdown of the pros and cons of each type of grill, however, you can become knowledgeable enough to make an educated decision. A gas grill is the most common kind of grill sold these days. It offers good flavor, versatility, and convenience. The great thing about a gas grill is that you can heat it up and be cooking in as little as 10 minutes—just push the button to ignite, let it heat up, and grill away. Perfect for the cook who grills frequently. If you are into features, a gas grill may be the answer. Some models come with side cooktops, rotisserie kits, multiple burners, and even wifi capabilities so you can keep track of your food on your phone. A couple things to keep in mind, though, are the fuel and the square footage needed. 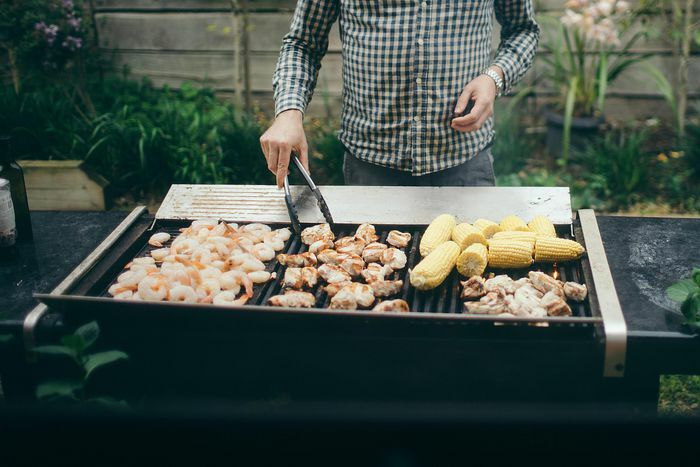 Gas grills require fuel either from a natural gas line that you have on your property or from a propane tank that you replace each time it is empty. Also, most gas grills require a fairly good amount of space—even the smallest models—since they cannot be used too close to any structure. So if you live in an urban area and your outdoor space consists of a small balcony, a gas grill is probably not for you (and your building may not permit it). Charcoal grills offer better flavor than gas grills and some barbecue purists claim this is the only way to grill. But there are some factors to keep in mind, in particular, the charcoal itself. 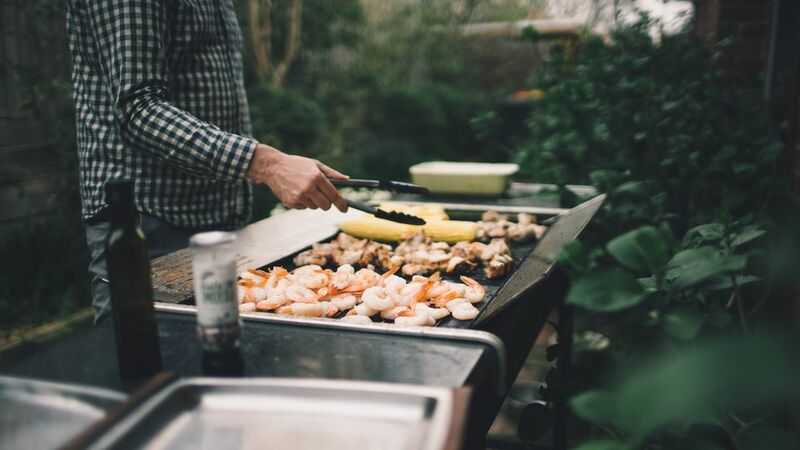 Charcoal grills require—you guessed it—charcoal—which means you have to purchase briquettes or lump charcoal and have enough on hand each time you plan to grill. Charcoal also takes time to get the fire going; generally, you should plan on 20 to 30 minutes from the time you light the charcoal until you are ready to grill. Also, unlike a gas grill, charcoal can't be simply turned off. You can, of course, dowse the coals in water but this can be damaging to a charcoal grill. If you grill frequently you will end up spending a lot more on fuel with a charcoal grill than you would with a gas grill. While most charcoal grills cost less than gas grills, the fuel cost will more than make up for the difference. Charcoal grills, similar to gas, also require a good amount of space to avoid unwanted fires. Electric grills offer the least authentic grill flavor but can generally be used almost anywhere. Electric grills can heat up quickly and don't require any fuel other than an electrical outlet nearby. However, you really do lose a lot in the way of flavor. Also, many electric grills do not generate a very high heat that is required for searing foods on a grill. If you are restricted by local laws or limited to a small balcony then you might only have an electric grill option. Although gas, charcoal, and electric are the most popular types, there are other grills out there, like pellet grills. A pellet grill burns hardwood pellets that are made from wood scraps. They offer a true hardwood flavor that is superior to charcoal grills and are also good smokers so you do get that additional versatility. However, pellets can be hard to locate in some areas and they can be expensive. Pellet grills are also not cheap, costing about as much as a good quality gas grill. Is It Okay to Use Charcoal in a Gas Grill? Do You Need the Char-Broil Combination Gas/Charcoal Grill?